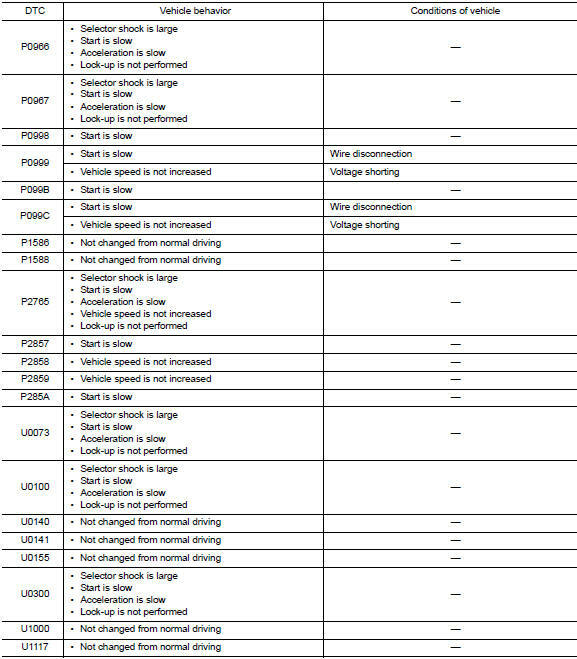 The following table includes information (items) inapplicable to this vehicle. 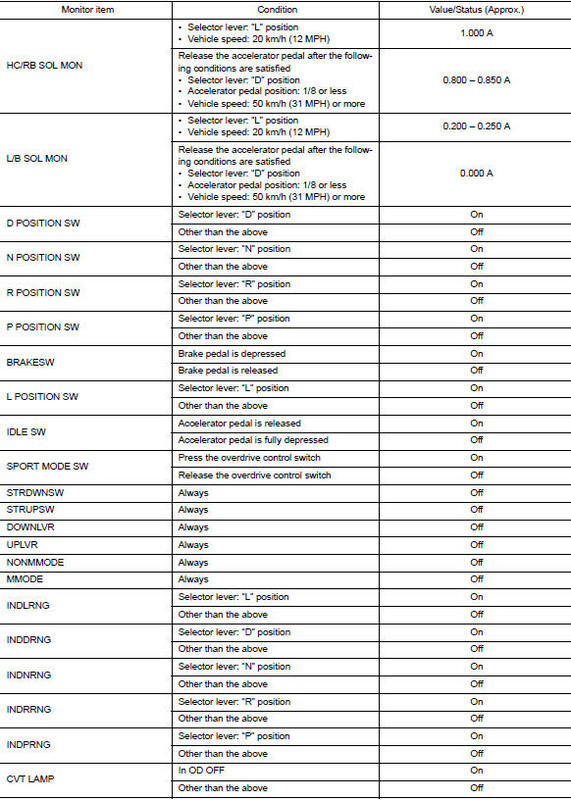 For information (items) applicable to this vehicle, refer to CONSULT display items. 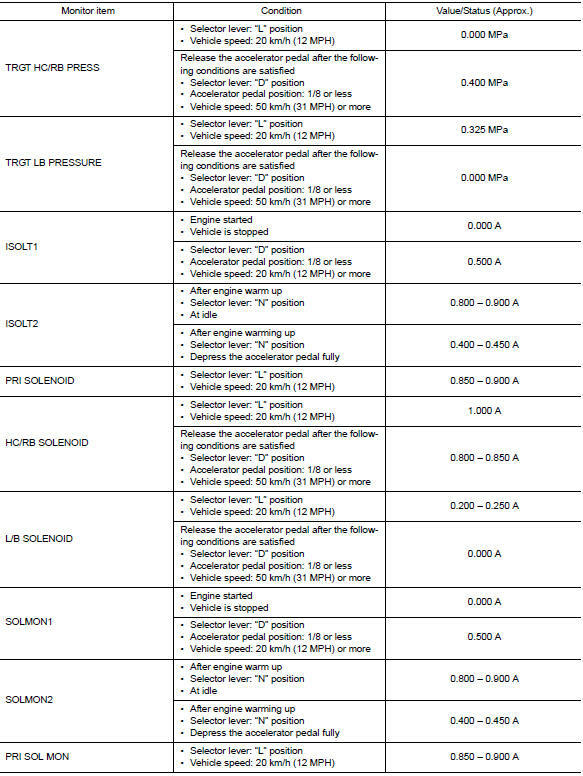 In CONSULT, electric shift timing or lock-up timing, i.e. 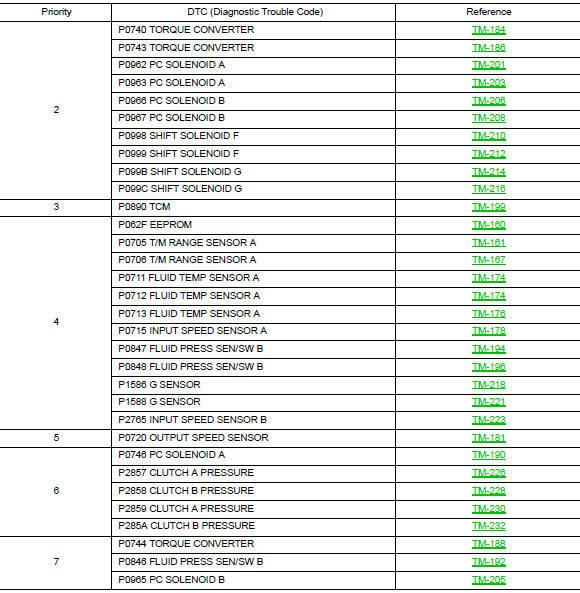 operation timing of each solenoid valve, is displayed. 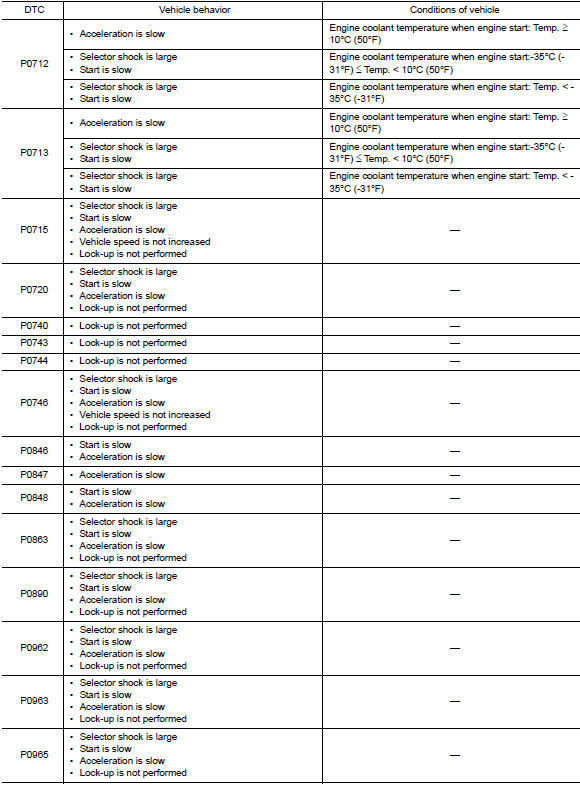 Therefore, if there is an obvious difference between the shift timing estimated from a shift shock (or engine speed variations) and that shown on the CONSULT, the mechanism parts (including the hydraulic circuit) excluding the solenoids and sensors may be malfunctioning. 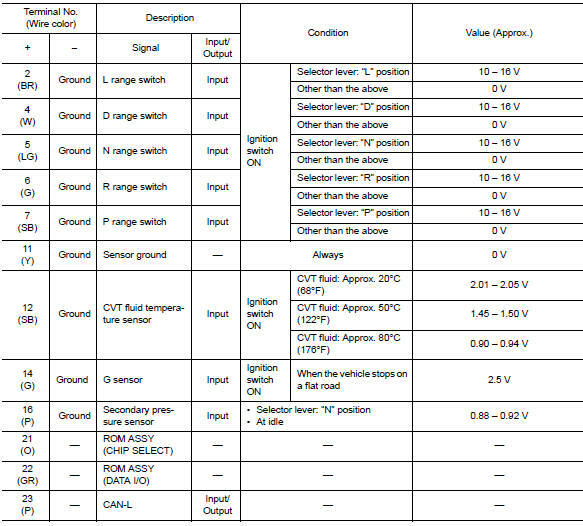 In this case, check the mechanical parts following the appropriate diagnosis procedure. Shift point (gear position) displayed on CONSULT slightly differs from shift pattern described in Service Manual. This is due to the following reasons. Actual shift pattern may vary slightly within specified tolerances. 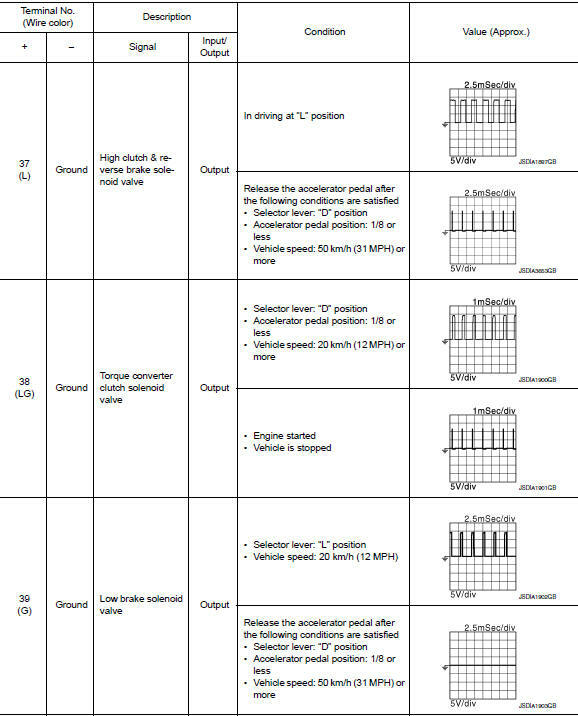 While shift pattern described in Service Manual indicates start of each shift, CONSULT shows gear position at end of shift. The solenoid display (ON/OFF) on CONSULT is changed at the start of gear shifting. 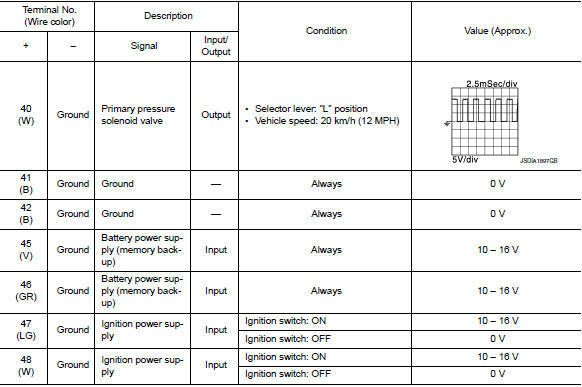 In contrast, the gear position display is changed at the time when gear shifting calculated in the control unit is completed. *: This monitor item does not use. 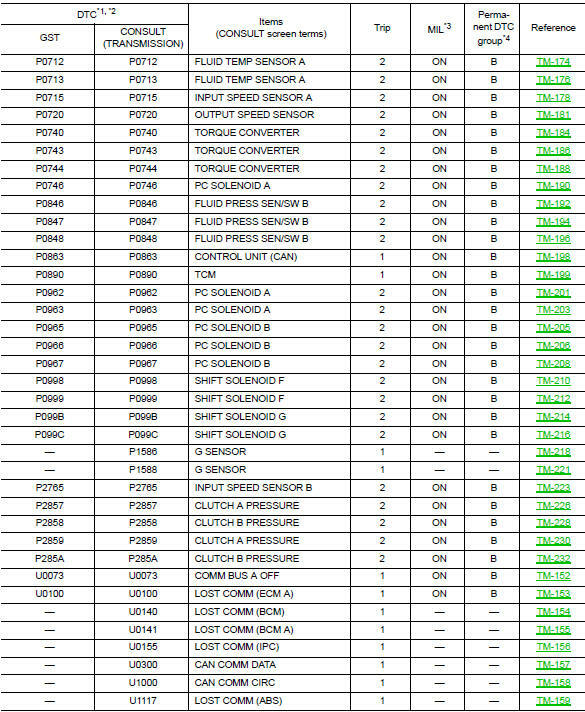 If multiple malfunction codes are detected at the same time, check each code according to the dtc check priority list below. If multiple malfunction codes are detected at the same time, check each code according to the вЂњdtc check priority listвЂќ. 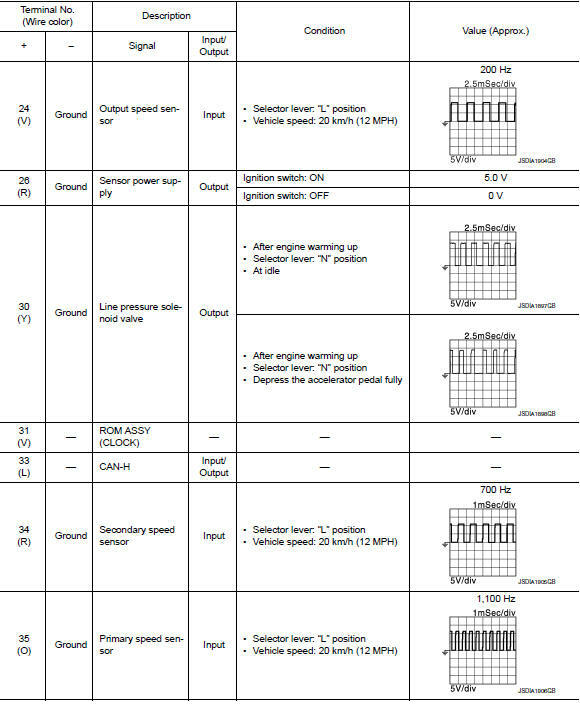 Tm-125, "dtc inspection priority chart". The ignition counter is displayed in вЂњffdвЂќ. Refer to tm-108, "consult function". 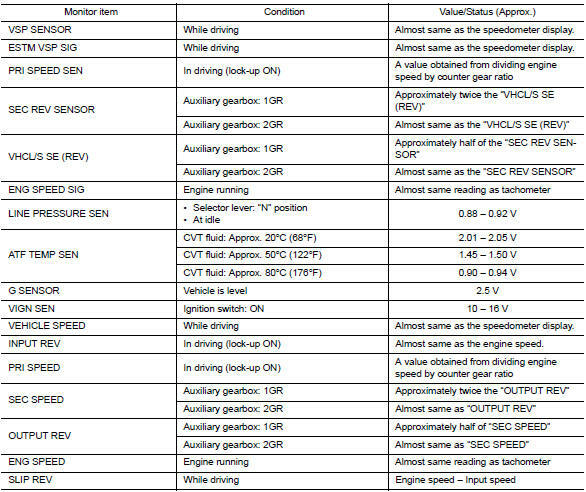 *1: These numbers are specified by sae j2012/iso 15031-6. *2: The dtc number of the 1st trip is the same as the dtc number. 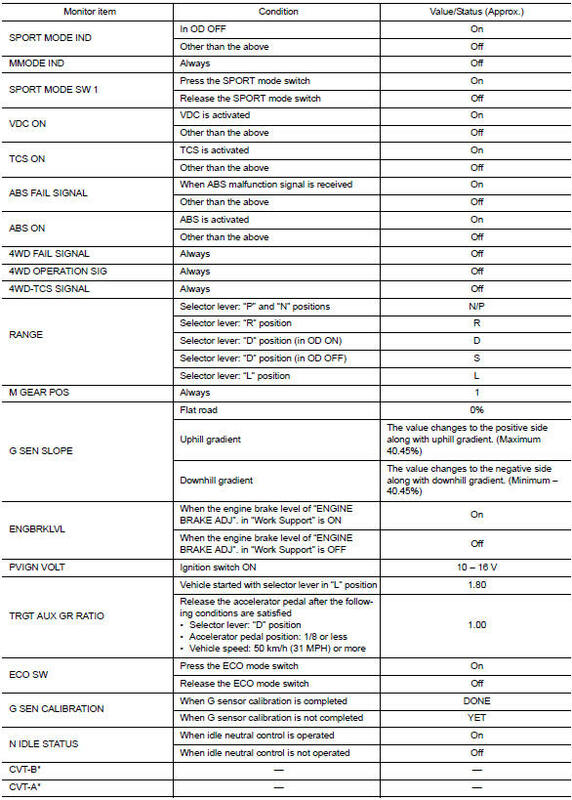 *3: Refer to tm-106, "diagnosis description : malfunction indicator lamp (mil)". 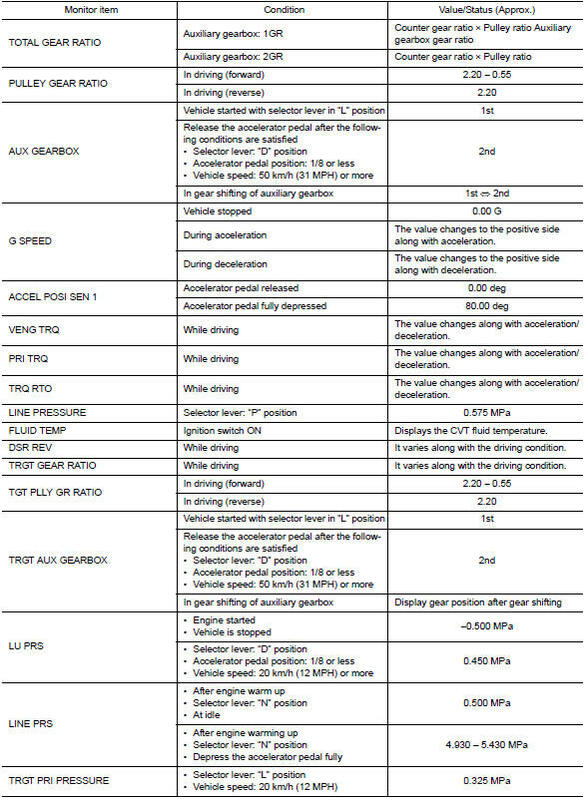 *4: Refer to tm-151, "description".